Sadly, the third wheel is implied but not actually there. This cruel twist of fate unfortunately means this hardworking rickshaw peddler will forever go through his life balancing his rickshaw on two wheels. 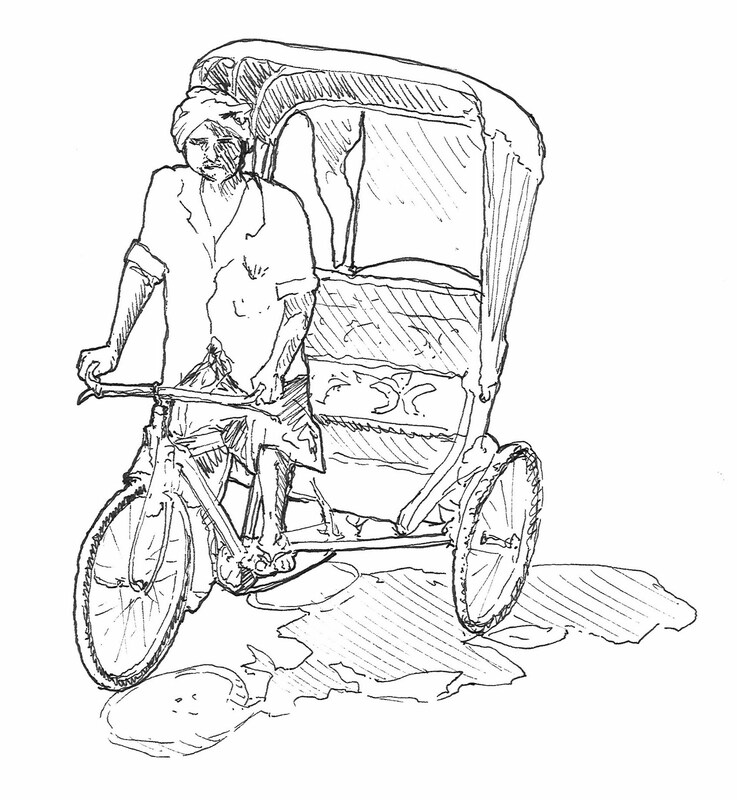 Also he will never have a customer – he believes is a result of his first misfortune – he reasons that what reasonable person would want to take a chance in a two wheeled rickshaw. However both problems stem from a greater metaphysical dilemma – namely that he is merely a sketch of a rickshaw driver bound by his two dimensional reality. On the bright side – he will never fall down.